If your heating system is older, inefficient and isn’t heating your home as well as you’d like, it may be time to consider a new heating installation. When you choose Boelcke Heating and Air Conditioning to help, we’ll install a new heating system in your home. 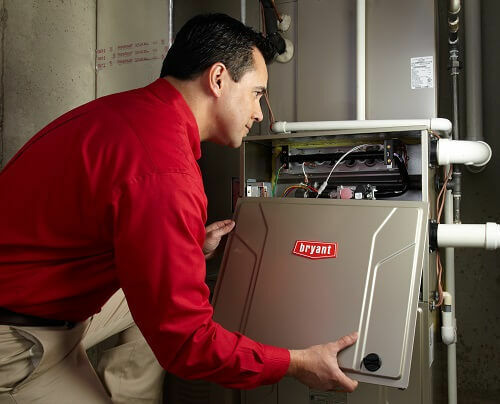 Our heating systems offer reliable, efficient comfort all winter long – and savings on your utility bills. You can count on our qualified heating technicians to provide you with a heating installation that perfectly meets the needs of you and your family. We’ll make sure the system we install is sized appropriately for your home, and that it suits your lifestyle. Boelcke offers the prompt, reliable service you need to ensure you and your family enjoy warmth and safety all winter long. Boelcke can help you get the heating installation you need and more. When you need heating installation from a qualified heating specialist for your home, you can trust Boelcke Heating and Air Conditioning. We can help meet all your home heating needs, large or small. Simply give us a call at (269) 429-9261, and we will be more than happy to assist you. Very pleased with total service package. Looking forward to long lasting performance, service, and greater efficiency and savings! We appreciate the exceptional level of professionalism, knowledge and courtesy of all members of the company.